There is a WIFI system available for ELTE students at the university. In order to have access to this service, you need do take the following steps. 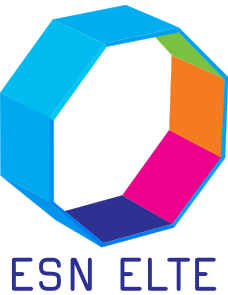 Open the website of the Informatics centre of ELTE. Now you can switch the language of the website into English. Select authentication via Neptun by clicking on the Neptun icon in the top right corner, then type your Neptun ID (6 characters), your password, then log in. Now you can choose your own IIG username (which is “Választott IIG Azonosító”). Note that the number of the characters in your username have to be between 3 and 12 and it can only contain lower case letters of the English alphabet, numbers and hyphens (-). Note that it cannot start with a hyphen or a number and it cannot contain space, dot (. ), low line (_) or two hyphens following each other. Choose your password and type it to “Választott IIG Jelszó” (chosen IIG password) and the same password to “Választott IIG Jelszó Megerősítés” (validating your chosen IIG password). Your password should be at least 6 characters long, but it cannot be your username. At the bottom of the page there is a sentence “Kérem a WIFI azonosító létrehozását is” (which means: “I also would like to create a WIFI identifier”) and a box beside this sentence. Put a tick into the box and then click on “Igénylés” (application). You will be redirected to a page where the system confirms your request. Then you are done, your IIG identifier is ready. Disconnect from the network “ELTE-Guest” and try to connect to “ELTE” when your IIG username and password will be requested. After you type them in, you have access to the internet. You can also use Eduroam with this username and password, even at other universities. To use Eduroam elsewhere, you have to type username@elte.hu and your password when you want to log in. Every student of the university is allowed to possess a personalized ELTE e-mail address. When you require a WIFI access at ELTE, you will automatically possess an e-mail address called: yourusername@caesar.elte.hu with 2 GB memory. You can reach your messages anywhere via an online platform (https://webmail.elte.hu) or you can download them with the help of the usual programs (Microsoft Outlook, Thunderbird etc.). During your studies you can deal with your official issues easier and faster. You will receive your NEPTUN messages on time without any delay. You can also require an own homepage with 2 GB memory. 1117 Budapest, Pázmány Péter sétány 1/A, VI/126. 1088 Budapest, Múzeum krt. 4/C, basement 64.